Why Choose our Android App Development? Technologies That Power Our Android AppsWe build Android apps with technologies that can amplify the level of user experience and meet any specific business requirements. Augmented Reality, the technology that excites any onlooker, has been used by our android application development team in custom developed restaurant applications for rendering an interactive rewards mechanism. AR in mobile apps have become the most compelling call to actions that yield more conversions. The practice that has marked the transition of ecommerce stores from web-only to mobile-first model is one of the crucial areas in which our Android developers contribute. Our Android app development team has delivered mobile shopping apps for ecommerce stores built on platforms like Magento, PrestaShop, OpenCart etc. As an Android app development company which has expertise over 8 years, we started venturing into technologies that would be the mainstay in future. 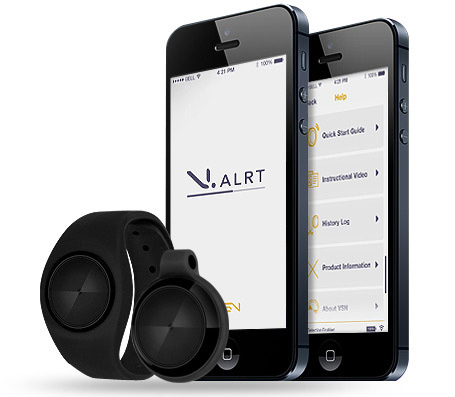 Wearables was our pick and we started extending our Android app development services for wearable devices based apps as well. Health care was the first industry we contributed for with our AR app development. Geo Location has been the key technology in serving ecommerce needs. Our Android developers have made use of geo location to serve 100s of ecommerce mobile shopping apps to detect the location of the user and deliver them personalized suggestions. Geo Location has also helped us in solving unique requirements like improving customer retention, detecting accident prone zones etc. Our Android app development services extends to providing readymade solutions for building instant messaging and real-time apps. Our readymade solution for chat applications have helped in integrating chat system in enterprise applications, ecommerce shopping apps and for social chat messengers. HTML5, the technology behind uncompromising video rendering in mobile devices has been put to great use by our Android application development team. Online television channels, video sharing websites, and ecommerce businesses have gained large from quality video rendering prowess of the mobile applications we have built so far. 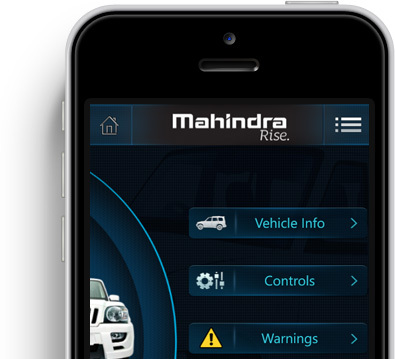 Hybrid applications provide the benefit of being cross utilized across multiple platforms. 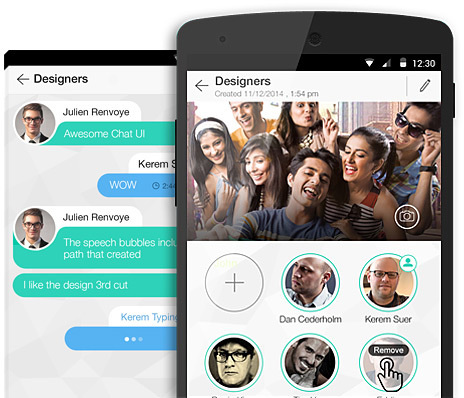 We have an exclusive team of Android developers who are good at building hybrid apps. Deploying HTML, CSS and frameworks like Phonegap, our Hybrid apps ensure flawless functioning and smooth user experience. For building Android applications that are strong in connectivity and less power consuming, Bluetooth 4.0 was our primary weapon. For apps that work in combination with wearable devices, we used BLE 4.0 to create a connectivity that possesses enough range, strength and still will be on a low power diet. 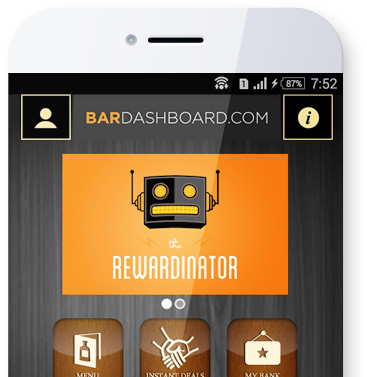 Bolting in the concept of rewards we have improved customer retention for ecommerce apps. Apart from rewarding loyal customers we have used it for pulling crowds for sporting events, improving the number of attendees for corporate events and improving safe driving among teenagers. Enterprise level apps demand sophistications right from security to personalization. We have a special bunch of Android developers who could dig deep into such unique business requirements and etch out an app that is 100% satisfying. We also take care of hosting the apps on cloud to ensure availability, throughout, security and scalability. Wireframes mark the beginning of the visually stunning and functionally smart designs that our left-brain thinkers create. We mix design creativity with business brilliance to bring up a perfect design that is not only visually appealing but also get users to click. We code for projects from the scratch, for those which require tweaks and work on technology integrations as well. Our development plans are based on your business requirements. Our Android app development team makes sure that the app is fabricated to incorporate features and functionalities that drives your business. With a variety of automation tools and manual efforts, we test your apps in all angles to detect even the slightest of flaws. We have a team of engineers who test your apps in various mobile devices to ensure device compatibility level. Use case testing gives the perfect picture of how smart your app is in responding to a variety of user requirements. Contus perfectly replicated my ecommerce website into an app. The UI was much better than the browser version. We experienced threefold betterment in sales. Thanks guys. 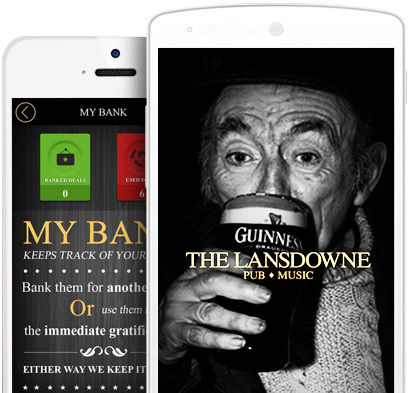 Preparing a readymade platform for building apps based on rewards mechanism was our aim. Contus delivered it perfectly. 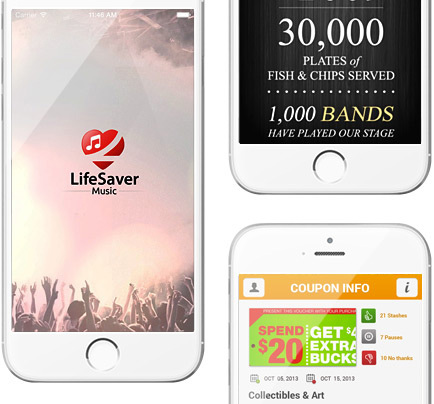 We are now owners of a hot selling rewards app. Contus turned our business idea into a functional app on iOS. Our revenue climbed up two-fold making us popular mediators for finding men's clothing. Great business visionaries. Real-time updates & personalized feeds of US shares were the challenges met with fine app architecture. Mix of APIs, Zend framework did the job for us. Contus In The News The inspiring growth story of Contus has been featured in leading websites & newspapers. Our Mobile App PortfolioApps created on iOS, Android & Windows 8 that speak of our quality and expertise. Have A Chat With Our Android App Development Experts Now! Recent studies show that out of 5 smartphone users 4 of them use Android devices. This is the main reason behind the surge in increasing count of Android Apps.The growth of Android apps and its usage is inevitable and rapid.This makes Android one of the most sought after mobile OS and Contus, has very passionate and talented developers to provide excellent apps. Contus has so far developed hundreds of applications for Android. Various categories in wireless applications like health, utility, life-saver, games, etc. has been covered in our Android development service. "Contus" has a vibrant and energetic team of talented Android work specialists who are well experienced and brilliant. 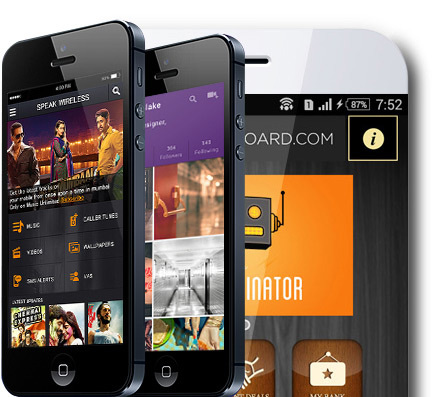 They are also specialized in developing the app idea in such a way that it reaches every users in the universe. Android app specialization being a piece of cake and favoritism for our developers, they develop android phone apps with high quality of excellence. The cost and time effective solutions for android apps are our specific skills. In addition to this our developer's professional expertise had made them more versatile and talented. 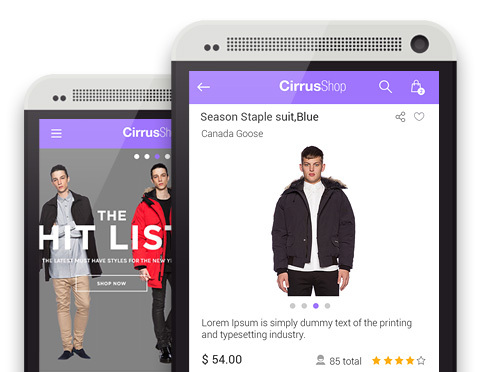 Contus has been in to this field for almost half a decade and we have highly proficient as well as talented developers who provide suave as well as sophisticated android applications. How Contus stand out from the crowd? Contus with its 5 years experience now has the supreme management and perfect reporting thus satisfying user needs completely. Apart from this we are also known for worthy, cost-effective competitive pricing. 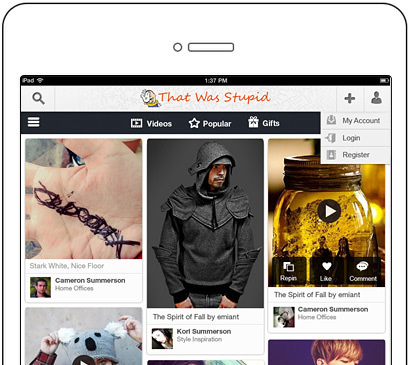 Looking for user friendly apps? Land Here! If you are in need for user friendly apps that are stylish, suave, flawless, and professional, then you have arrived at the right destination.